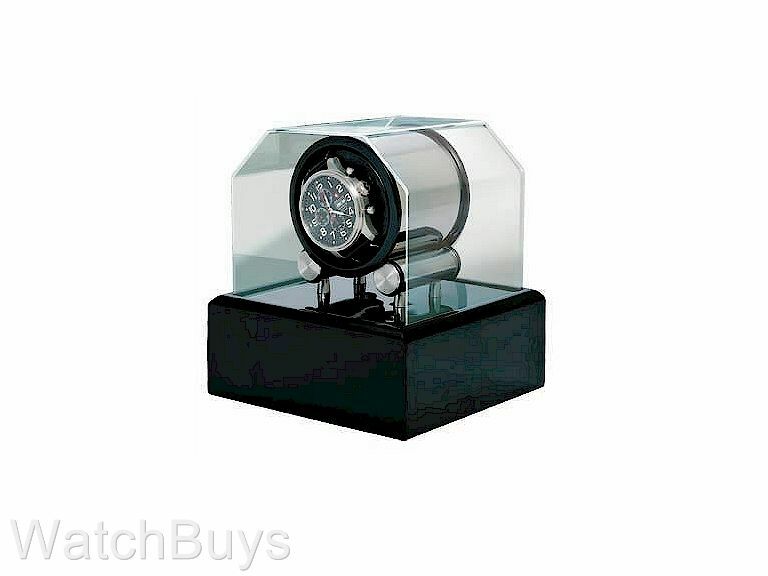 The Futura 1 watchwinder employs truly innovative technology whereby an ironless core Swiss micromotor is concealed within one of the two ball-bearing fitted stainless steel support rollers. Seated on those tubular rollers is a rotating stainless steel hollow cylinder into which the watch is mounted on elastomeric self-conforming cushions. There is no metal-to-metal contact as the drive rollers are equipped with nitrile rubber tires at both ends. Simplicity of programming for winding turns per day (TPD) is a special feature of the Futura watchwinder. ON/OFF and HI/LO switches are provided on the base plate of the unit with the HI setting providing 1300 TPD and the LO setting 800 TPD. Clockwise or counter clockwise watch rotation is easily achieved by reversing the base plate 180°. 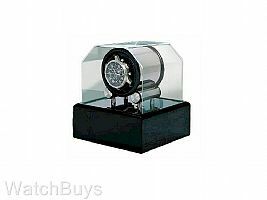 The design for the Futura watchwinder further complements its modern appearance whereby the winding module is mounted atop a mirror finished stainless steel base plate which is then inserted in place on a black lacquer stand. An attractive formed acrylic dust cover easily lifts off the lacquered base.